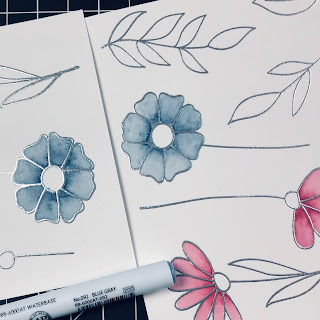 Today on the blog I'm sharing 3 cards one Stamp. 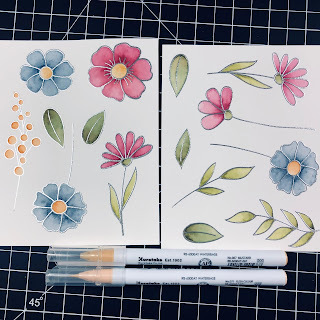 Todays stamp is from MFT called Wildflower. 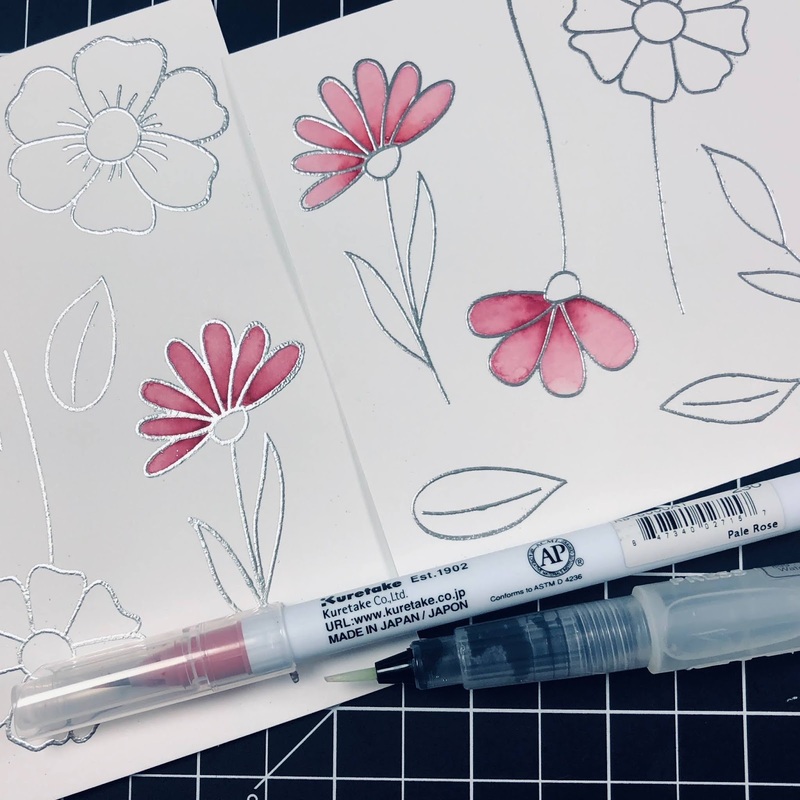 In any coloring medium you like. 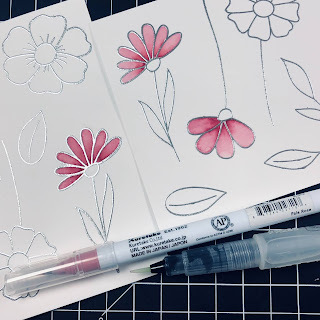 Embossed them with Ranger silver embossing powder. All the greenery was water colored with two tones of green, olive green and pale green. But to my surprise I loved the yellow flowers the most. For those I used flesh color and mustard. And a scalloped frame Die from Gina Marie designs. 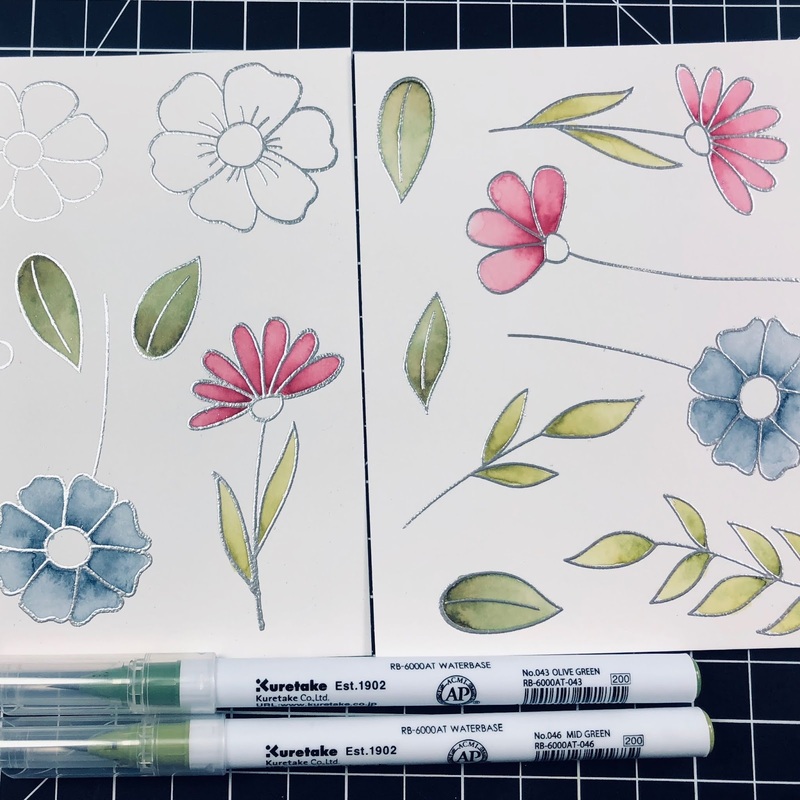 Here are all three cards I created today. The first one in yellow hues is a show stopper for sure. This Blue one is a bit vintage inspired, and very pretty. Leave a comment and tell me the one you like the best. 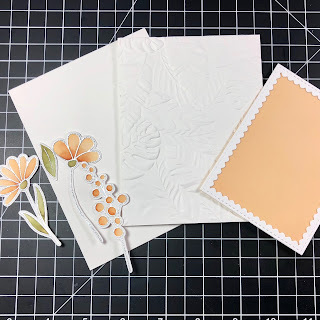 i like that you are beginning a series that highlights many different designs with one stamp. I really want to get as much versatility out of the stamps I own. sometimes I buy a set and have 1 idea In mind...I'd love to start doing More with one set. tfs! 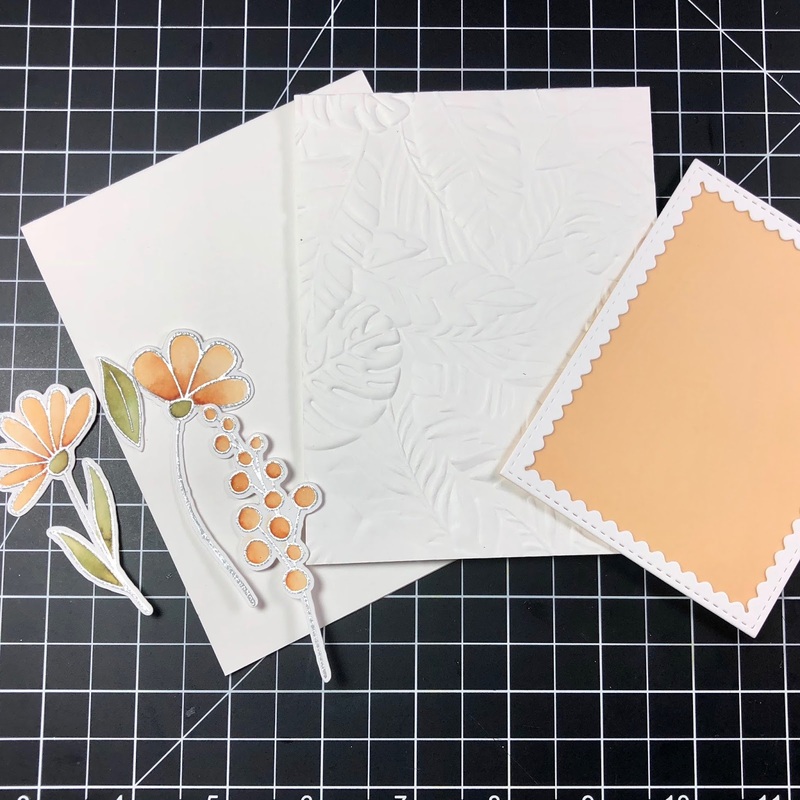 Diane , Thank you for sharing all the different ways you can use one stamp and one die . I really love seeing all the ways . 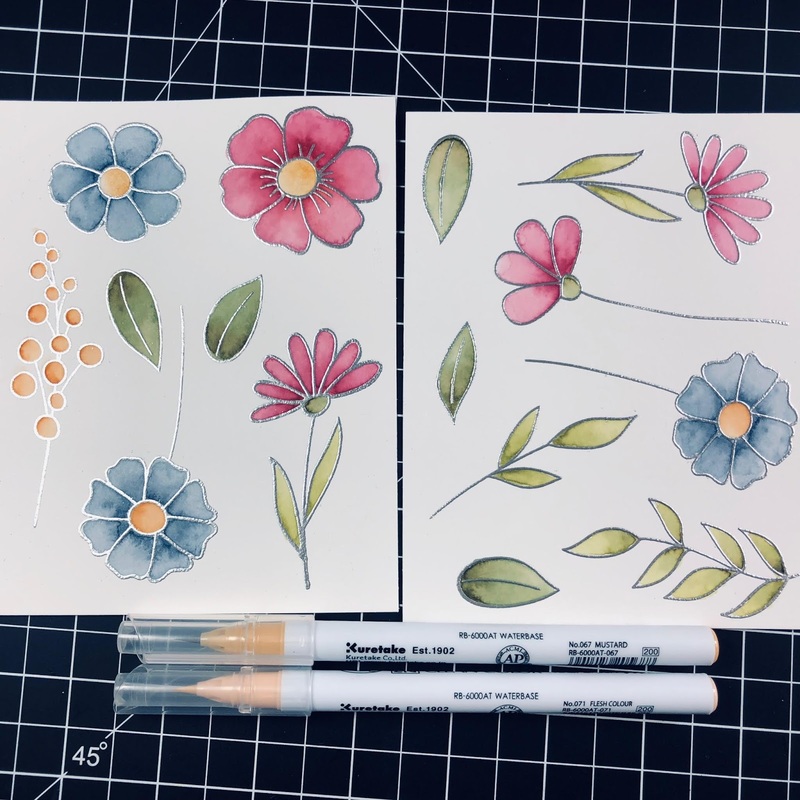 I thought a long time ago that you can only use stamps as they are shown until I really started seeing the creative friends like you use them in different ways . Thank you for doing this. It's very helpful .